To tie in with Guardians of the Galaxy, Morph Costumes gave me a chance to test out one of their suits and then offer two Shadows readers the chance to win one for themselves. 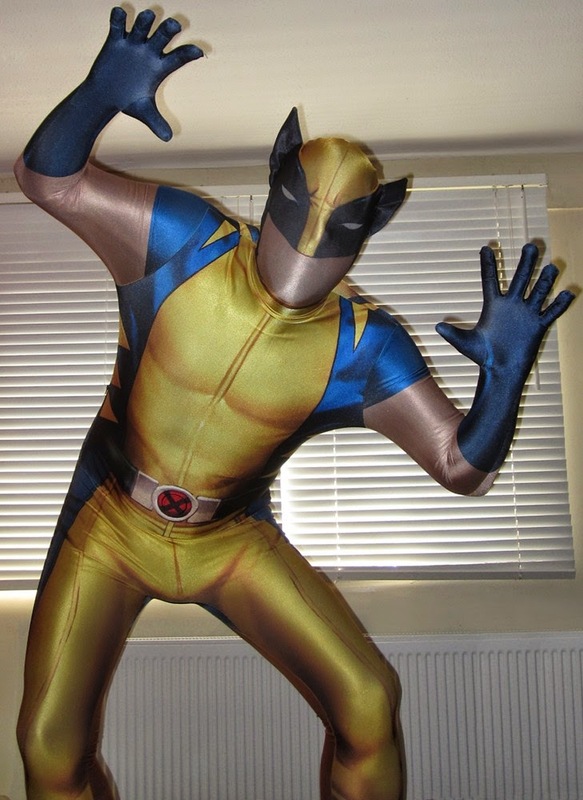 When the Wolverine costume arrived, I dutifully put it on to see if it lives up to the promises in the advertising copy. Amazingly, these photos of me in the suit look pretty cool, not too far from the promotional artwork (below). This is surprising because I generally don't look great in spandex of any kind. But the suit has all kinds of manly contours drawn onto it. It also covers every single inch of the body, which makes operating things like a smart phone rather tricky (although you can). The main issue is that it's very difficult to see anything. The bit covering the face is rather a lot like having ladies' stockings stretched over your head, bankrobber style. It smashes your features and clings so tightly that even blinking is a bit tricky. Sight is also rather limited, like seeing everything through a dark fog. But it would be a great costume to wear to a party (eating is impossible, drinking would be messy). There's also a pouch for a smart phone, which will light up the belt buckle and create the illusion of Wolverine claws on a camera screen (other suits have their own tricks). Shadows partnered with Morph Costumes to give readers the chance to win one of the most advanced pieces of costume engineering known to man. Congratulations to Angel in Shoreham-by-Sea and Paul in Whiteley - we're sure they'll look great in their Spider-man and Deadpool costumes, plus their custom added superpowers of chainsaw arms and telepathy, respectively. For more information, follow Morph Costumes on TWITTER or FACEBOOK. 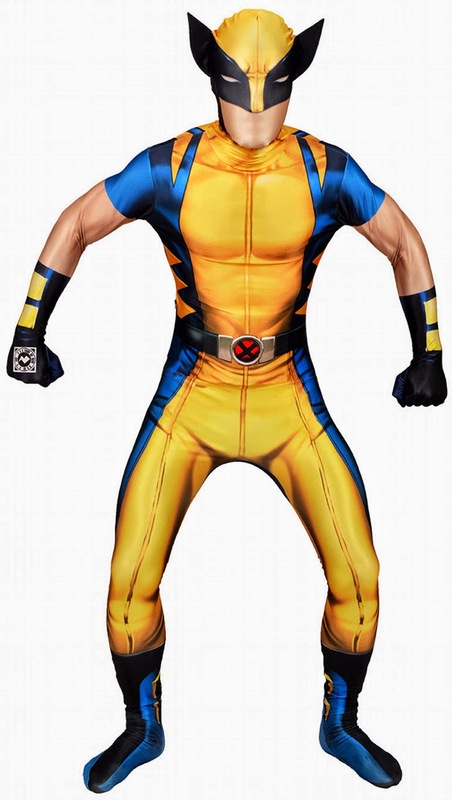 Marvel Morph Costumes include: Wolverine, Spider-Man, Captain America, Iron Man and Deadpool. Critical Week: Eek! A mouse! London critics caught up this week with the clever black comedy Life of Crime, based on an Elmore Leonard novel and starring Jennifer Aniston, Tim Robbins, John Hawkes and Yasiin Bey (aka Mos Def). 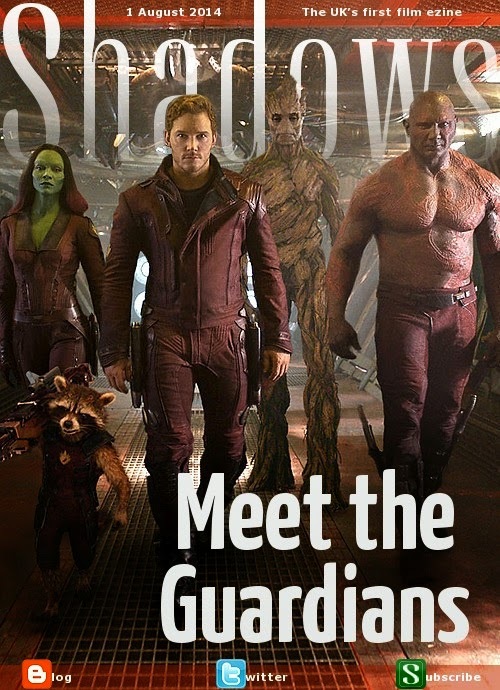 It's offbeat and very funny, but not quite as hilarious as the week's biggest movie, Guardians of the Galaxy, a riotously entertaining sidestep in the Marvel universe that may be the comic studio's best film yet. 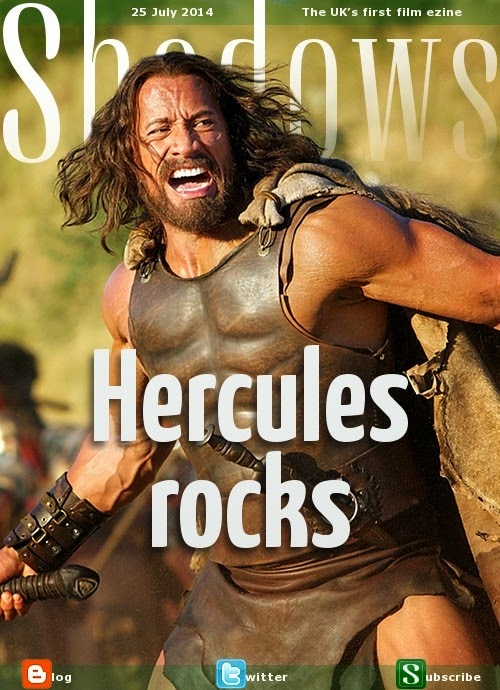 Other high-profile films this week included Dwayne Johnson and Brett Ratner's new take on Hercules, a surprisingly enjoyable adventure that's a lot smarter than it looks. One of Philip Seymour Hoffman's final performances lifts the slow-burning political thriller A Most Wanted Man into something rather amazing. And random cast members from a range of the previous four films are back for Step Up: All In, another corny story punctuated by great dance numbers. Further afield, we had the terrific small-town drama Tiger Orange, about estranged brothers who both happen to be gay. The Galapagos Affair: Satan Came to Eden is a riveting documentary about a shocking event from the early 1930s. You'll want to read more about it, and hopefully someone will make a dramatic thriller. And Al Pacino offered two movies: Salome is his film of his recent staging of the scandalous Oscar Wilde play, while Wilde Salome documents the process of doing the play and film, as well as tracing Wilde's life. The mesmerising staging of Salome is oddly stilted and over-the-top at the same time, with Jessica Chastain riveting in the title role. The doc is even more interesting, a bit padded out but packed with remarkable observations. This coming week we'll be subjected to Sylvester Stallone and crew in The Expendables III, Guy Pearce and Robert Pattinson in The Rover, Nat Wolff and Selena Gomez in Behaving Badly, the indie drama 4 Minute Mile, Leo Leigh's ping pong hustler doc Fact or Fiction, the episodic architectural doc Cathedrals of Culture, Agnes B's road movie My Name is Hmmm, and Secret Cinema's immersive Back to the Future event. This week's most impressive debut came from Gia Coppola (Francis' granddaughter), adapting James Franco's internalised short story collection Palo Alto. A strikingly honest exploration of teen life, it also features a star-making lead performance from Jack Kilmer (Val's son) alongside Emma Roberts (pictured), Nat Wolff and Franco himself. The other two big movies shown to London critics this week were colon-wielding sequels. The Purge: Anarchy carries on the lawful carnage one year later from the opposite economical perspective, which drains the premise of the irony that made the first film work so well. And Planes: Fire & Rescue is actually an improvement, a better-written and occasionally enjoyable romp that's still marred by that ropey "World of Cars" premise. Off the beaten path we had a fearless Gerard Depardieu as a shameless womanising politician in Abel Ferrara's controversial and superbly outrageous Welcome to New York; the charming but cheesy gay romantic comedy Love or Whatever; the edgy but somewhat familiar Danish youth drama Northwest; and two documentaries: Nick Cave's artful, fiercely inventive and vaguely pretentious 20,000 Days on Earth and Charlie Lyne's enjoyable romp through a decade of teen movies in Beyond Clueless. In the coming week, we'll be catching up with the summer's big Marvel blockbuster Guardians of the Galaxy, Dwayne Johnson as Hercules, Jennifer Aniston in Life of Crime, Colin Firth in A Most Wanted Man, the next in the neverending franchise Step Up: All In, the indie sibling drama Tiger Orange, and Al Pacino's take on Oscar Wilde's Salome, plus the making-of doc Wild Salome. Being a film critic isn't a bad job: you get to see movies for free, after all, and people pay you to write what you think of them. On the other hand, they don't pay you that much anymore. 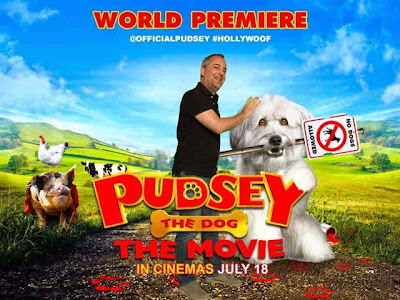 And sometimes you have to sit all the way through something like Pudsey the Dog: The Movie, an almost unwatchable mess that really should be left to the trained professionals. Actually, it had potential to be a charming little adventure. But no. So we turn to two sequels that have emerged as some of the best films of the year: How to Train Your Dragon 2 is even more ambitious than the superb first film, and it has the best action sequences in cinema at the moment. 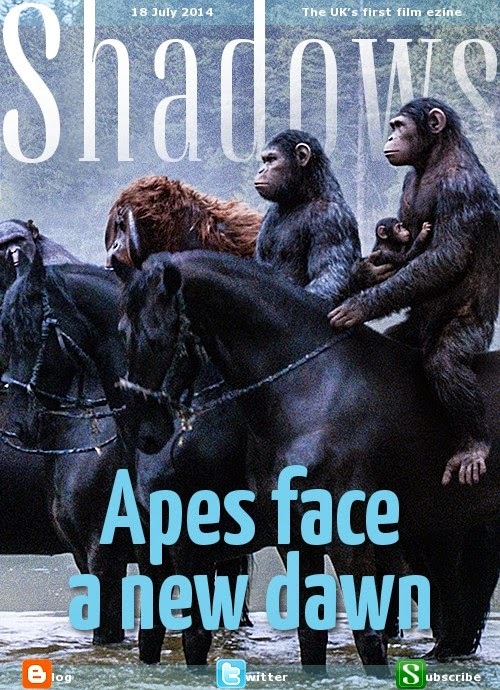 And Dawn of the Planet of the Apes may not be as delicately surprising as the reboot three years ago, but it's a remarkably complex thriller without a true villain. And the acting is hugely involving. But the best film this week was the Cannes hit Pride, a shameless British crowd-pleaser in the vein of Billy Elliot and The Full Monty, with terrific characters addressing a strongly resonant political issue through the true story of gay activists supporting striking miners in the Thatcher years. Also this past week: Daniel Radcliffe brings his awkward charm to the quirky rom-com What If, costarring Zoe Kazan, Rafe Spall and Adam Driver; Nicolas Cage acts his socks off in the violent revenge thriller Rage, as a dad who wants to kill everyone for hurting his teen daughter; and Brian Cox plays the great Man Utd coach Matt Busby in Believe, a charmingly scruffy British comedy-drama that pushes the sentimentality button. There were also two docs: the fast-moving All This Mayhem traces the turbulent lives of Aussie skateboard-champion brothers Tas and Ben Pappas; and the inventive, colourful Big Joy: The Adventures of James Broughton tells the life story of the experimental filmmaker with a surge of emotional energy. And after seeing the film, I've been rendered speechless. I attended the premiere last night at Bafta of Extant, a new summer series that debuts in America on CBS tonight and in the UK on Amazon Prime tomorrow. 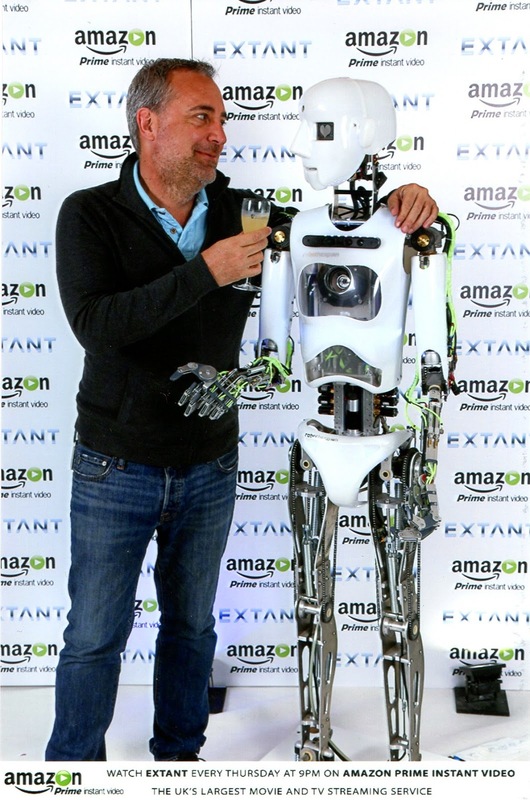 Along with canapes and cocktails, they brought along a robot for us to interact with, which was a bit eerie, especially when it started flirting with me. The show is set in the near future, as Halle Berry tries to readjust to her husband (Goran Visnjic) and robotic son (Pierce Gagnon) after a year on a space mission, during which something very odd has happened to her: she's become pregnant despite being unable to have children before she left. Not quite sure if I'm in for the duration, but I'll give it a few more episodes before I render my verdict. From one episode, it feels a bit manipulative, one of those shows that dribbles facts very slowly to keep audiences hooked. But it'll need to start dropping some major bombshells soon to hold on to viewers. 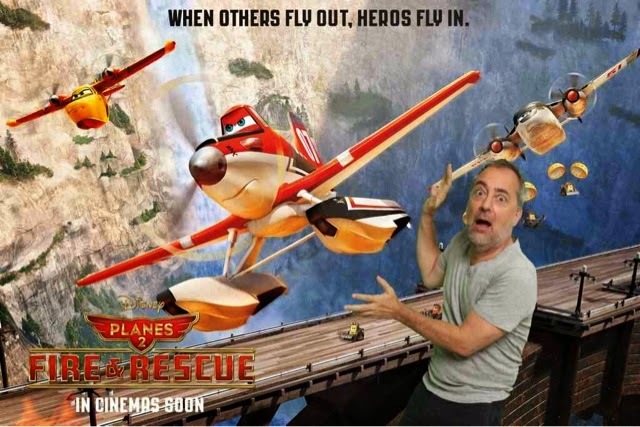 Having opted to take a holiday the last week of June, I missed key press screenings of two July blockbuster sequels. But I caught up with them this week. Transformers: Age of Extinction is yet another loud and incoherent robot fighting extravaganza from Michael Bay - just as ludicrous as the previous films while wasting an all-new cast including Mark Wahlberg, Stanley Tucci, Kelsey Grammer and acclaimed rising star Jack Reynor, plus this episode's requisite scantily clad female Nicola Peltz. Fortunately, I cleansed the memory of that movie from my system with How to Train Your Dragon 2, a strong film in its own right with a startlingly complex script, unusually detailed animation and the most thrilling movie action sequences we've seen all year. Also this week, I caught up with Philip Seymour Hoffman's intriguing but relatively thin Philadelphia drama God's Pocket; Michael Caine in the engaging but somewhat lightweight French drama Mr Morgan's Last Love; the rather too-repressed but sharply well-made period drama A Promise, starring Rebecca Hall and Alan Rickman; the moving and visceral American indie Hide Your Smiling Faces; the extremely well-observed Danish mystery thriller Keeper of Lost Causes; and the blackly comical Spanish zombie-soccer thriller Goal of the Dead, which actually has its moments. There were also two artful but deeply pretentious epics: from Mexico, Julian Hernandez's I Am Happiness on Earth is a sensual exploration of physical connections. And with Norte, the End of History, gifted Filipino filmmaker Lav Diaz takes an unnecessary four hours to tell a darkly involving story about crime and unjust punishment. I also managed to revisit Bob Fosse's classic 1972 film version of Cabaret, starring a particularly fabulous Oscar-winning Liza Minnelli. This coming week, we have the Daniel Radcliffe rom-com What If, the acclaimed British feel-good drama Pride, the British football drama Believe, the Britain's Got Talent-inspired Pudsey the Dog: The Movie, and the Aussie skateboarding movie All This Mayhem, among other things. Honestly, this is one of the most thrillingly infuriating TV series ever, as it skips around its array of storylines tantalising the audience with tidbits of narrative, about half of which is hugely engaging. By far, the best characters in the show are Dinklage's Tyrion (above) and Clarke's Daenerys, and both had gripping journeys this year, ending up in unexpected emotional places. And Williams' Arya is proving to be the show's dark horse. There was also the usual series of nightmarish battles and sudden deaths for various central characters. Few TV shows have ever tried something on this scale, and while the fragmented narrative keeps it from being completely involving, each episode is packed with moments that take the breath away. The final season of this already iconic show has been split into two - so actually this is the penultimate series, and we'll have to wait until next year to see how it all ends. 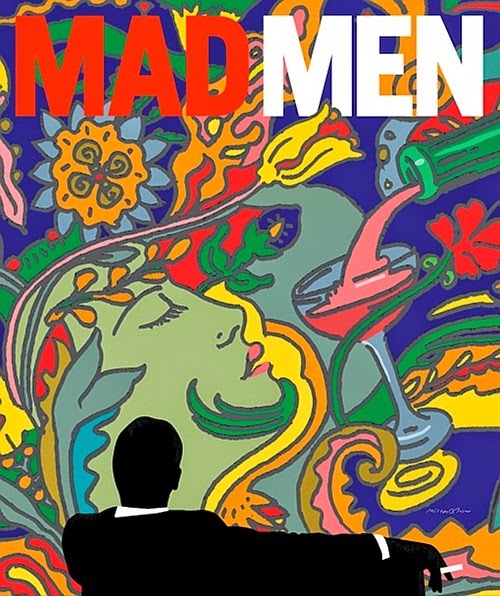 This astonishingly well written and acted drama has now arrived in 1969, where things are rather tumultuous for both America and the characters. Some of the story threads feel a little obtuse (January Jones has so little to do now), while the New York/California split made the show sometimes feel a bit schizophrenic. 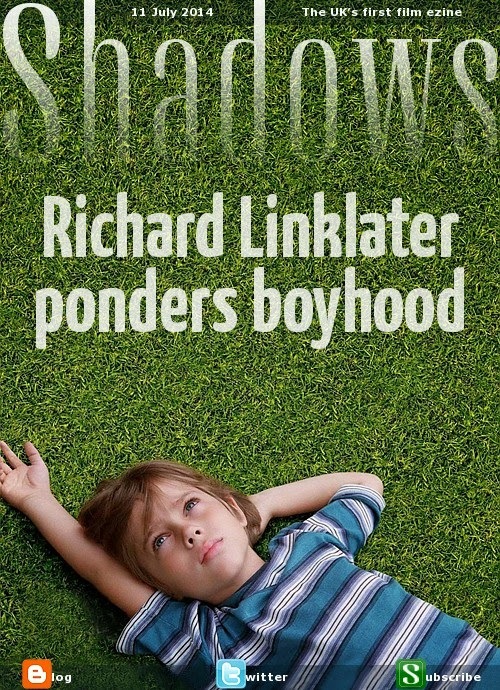 But everything dovetails together cleverly without answering every question, which forces the audience to engage with the moral complexities and interpersonal dramas. It's time for it to come to an end, but we'll hate to see it go. Two cable series pushed boundaries with female-led, dark-edged comedies. Louis-Dreyfus continues to be the best comic performer on television; her impeccable timing makes Selena both formidable and rather endearingly pathetic. Selena's campaign for the presidency sometimes drifted over the lines into corny slapstick, but was consistently hilarious. By contrast, Falco's equally impeccable performance as Jackie made her show unmissable, thanks to some of the best writing in all six seasons. As a high-functioning addict, Jackie's link to reality drifted very slowly this season, so the laughter tended to be of the bitter, nervous sort. Both shows offered terrific season-long arcs that were packed with surprises and left things in a whole new place for next year. I don't watch very many network sitcoms, but these three single-camera shows are mercifully free of laugh-tracks (I tried to watch Mom because I love Allison Janney and Anna Faris, but the inane guffawing wore me out). These three, on the other hand, are not only very funny but are blessed with some of the best writing and acting on TV. Has another show ever maintained such high quality over five seasons as Modern Family? When I met Ty Burrell at a press event in January I asked him why, and he said it's simple: they have the same team of writers they started with. Which also explains why the children have grown into sharply complex characters all their own. Another show that gets funnier year by year, Parks has a cast of hilarious scene-stealers who continually add layers to their characters. Losing Rob Lowe and Rashida Jones would have doomed a lesser show, but these guys more than filled the gap. And in its final season, Community bounced back to the wacky unpredictability of earlier years. The scattershot approach was a little disorienting (as are many of the brainy jokes and subtle references), but it's a rare show that actually talks up to its audience. These three series are guilty pleasures: not particularly great but a lot of fun. Marvel's S.H.I.E.L.D. series often feels like either an X-Files rip-off or a craven tie-in to their big-screen movies, but the character interaction is a lot of fun, and the season arc led the team into some intriguingly perilous situations. Scandal was a blast of fresh air in its first short season, then became bogged down in soapy melodrama in the second year. This third series was a lot sharper, with more political edge and some strong moral dilemmas. It also features the most fabulous cliffhangers imaginable - even the lead-ins to the ad breaks leave the audience breathless with anticipation. By contrast, Arrow suffers from painfully clumsy plotting that feels badly contrived at every turn, while the dual-timeline structure is straining at the seams. But the often startlingly fit actors are magnetic, drawing us into the action even though we know it's utterly ridiculous.